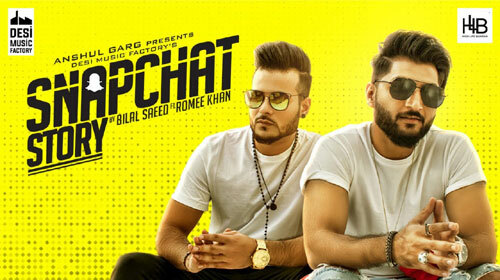 Snapchat Story Lyrics – Bilal Saeed and Romee Khan have sung this Punjabi track. Its music and lyrics are also given by Bilal Saeed. Get music video along with its wordings here. If you find any mistake in lyrics of SNAPCHAT STORY LYRICS – Bilal Saeed song please let us know in comments.